On October 29, we launched our first event of the On The Menu series! Unity Digital Agency is one of three certified Benefit Corporations, or B Corps, here at Frontier RTP. 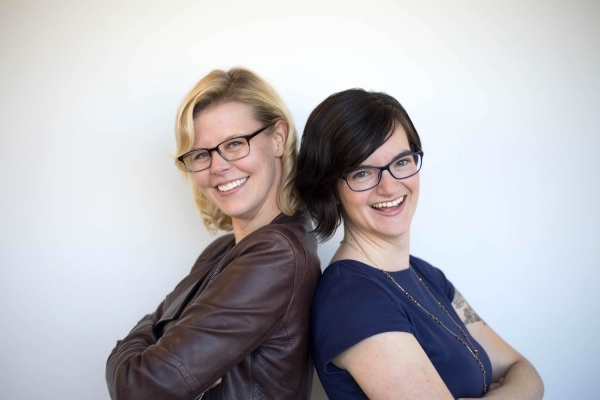 We invited Unity’s Alisa Herr and Christina Noel to share their extensive knowledge on the topic. Alisa, founder and CEO of Unity Digital Agency, compared her passion for B Corps to her role as a mother. It is her belief that, much like the role taken on in motherhood, company leaders should do their part in making a better world for future generations. Christina is the Marketing & Business Development Strategist at Unity, and extremely passionate about mission-driven businesses. She has had previous experiences at several other B corporations, including the B Lab, which is the nonprofit behind the B Corp movement. Together, they gave a fantastic presentation about how B Corps can make a difference, and the process to certification. A company must first meet the performance and legal requirements to qualify. After viewing the long list of prerequisites, I definitely respect the work of B Corporations much more because of how much they dedicate themselves in the name of doing good. 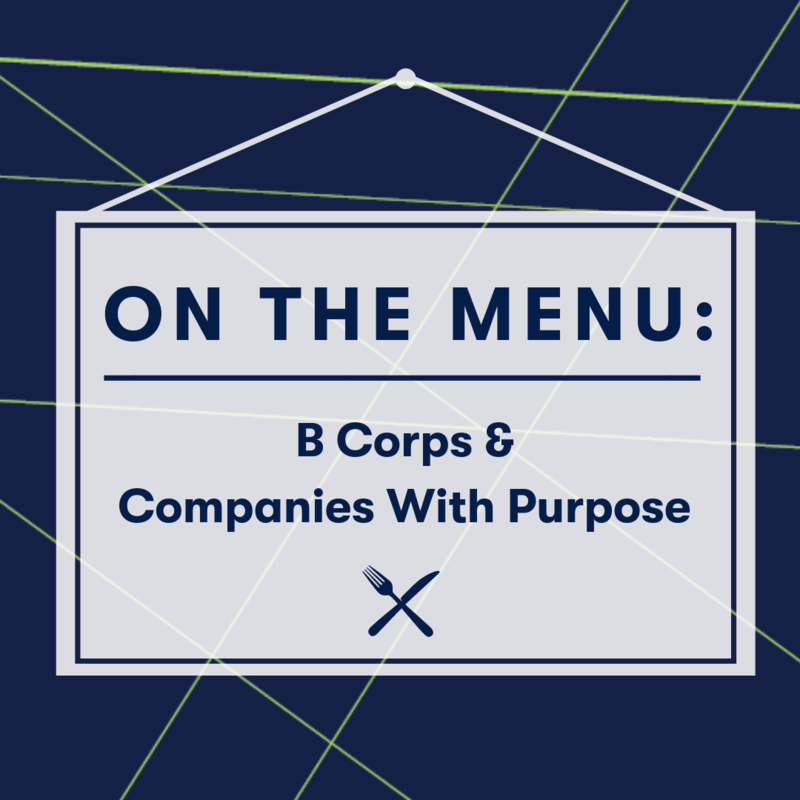 The B Corp Movement’s mission is to create a community that uses business as a force of good, and to build companies that builds the world. Hence, there are rigorous standards to fulfill in the social, environmental, accountability, and transparency aspect. Our speakers also introduced other companies that give back to society through their practices. Businesses such as Divine Chocolate and Eastern Carolina Organics (ECO) are businesses are co-owned by farmers, which brings them more economic stability in the midst of imbalanced labor laws. There is also the more well-known Spotlight Solar equipment set up on NC State’s Centennial campus to promote clean energy. It was great to learn our Triangle area is doing its part in creating a better community! If you would like to learn more about making the world a better place through business, these ladies are launching a podcast! You can sign-up at the Arc Benders site to stay updated. Additionally, NC State’s Business Sustainability Collaborative hosts a B Corp Clinic every academic semester. November 8, we’ll host our second On The Menu workshop, Email Marketing: A Prescription For Success. If you’d like to attend our upcoming On The Menu workshops or other upcoming Frontier RTP events, check out our calendar. At Frontier RTP, we are constantly growing, and hope you and your business will come along for the ride with us! We developed On the Menu as a way of helping you and your business grow to the next level. Each month, we’ll offer a lunchtime workshop on a special topic related to small businesses or startups. On The Menu will be taught by a diverse group of experts from around the Triangle (some of whom started their business here at The Frontier!) a small group setting. Our hope is that these workshops will not only be rich in content, but spark dialogue, start relationships, and make your lunch break meaningful. Did we mention that lunch will be provided too? See you there!